The brand new Lofts at Old Town Square offer a distinct living experience right here in Wichita. The Lofts feature cathedral ceilings with exposed beams, large windows overlooking Old Town Square, garage parking and private balconies. 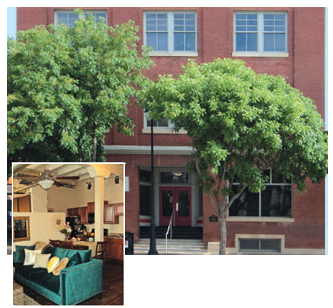 The Lofts at Old Town Square are located near many stores, restaurants and night spots, and is right across the square from the Warren Theater.